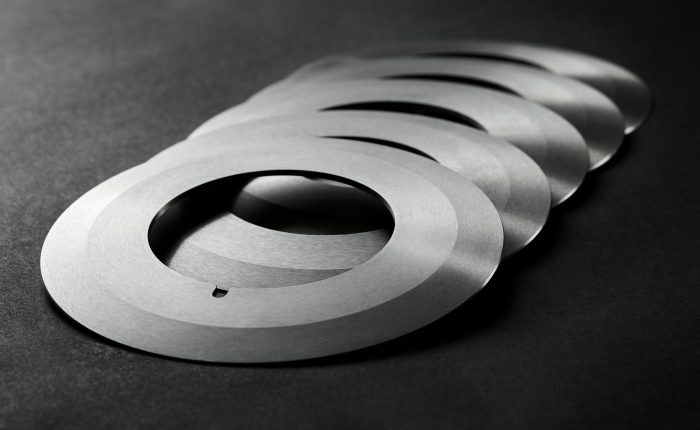 Manufactured from high-quality sheet and bar stock, our circular converting blades are above OEM quality, accurate in thickness size and have superior finishes on the OD and cutting edges. AQS is well known for our dimensional accuracy and perfect hardness. We supply a majority of the OEMs so you can be assured of quality of product. Our inventory of industrial knives and blades includes dozens of quality circular slitter knives at a fraction of the cost. 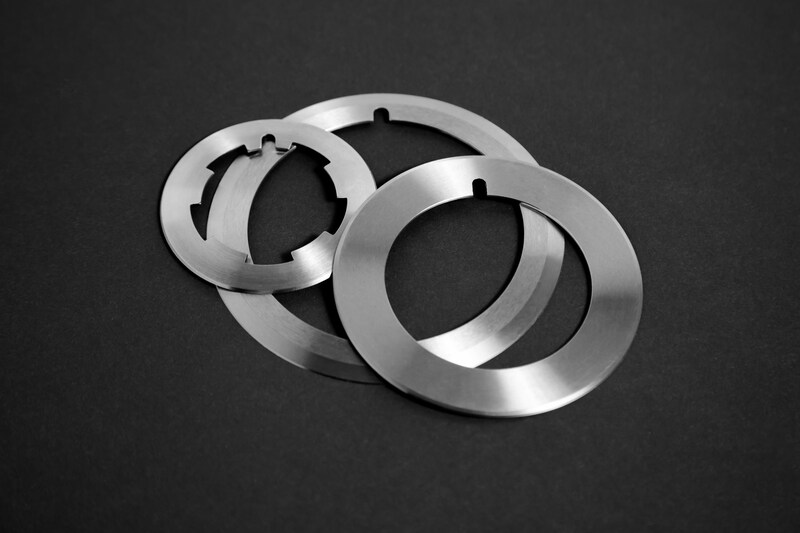 We are able to supply any circular knife in different materials and sizes up to 18″. We currently stock most popular brands of circular knife, this includes styles comparable to Tidland knives, Dusenbury knives, Appleton knives, and others. These industrial knives are all made to OEM specifications in our ISO 9002 certified factory, and are guaranteed to be free from workmanship or material defect. What knives do not have in stock, we have the ability to custom manufacture. Call us today for more information on the blades we currently have in stock! 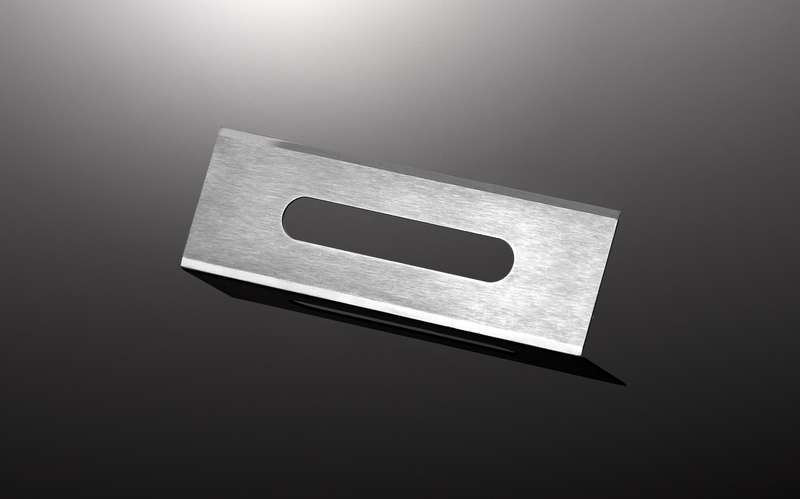 We supply circular knives for the paper, pulp, film, and adhesive industries. These industries range from general manufacturing to the finishing process of goods for the consumer and industrial markets. 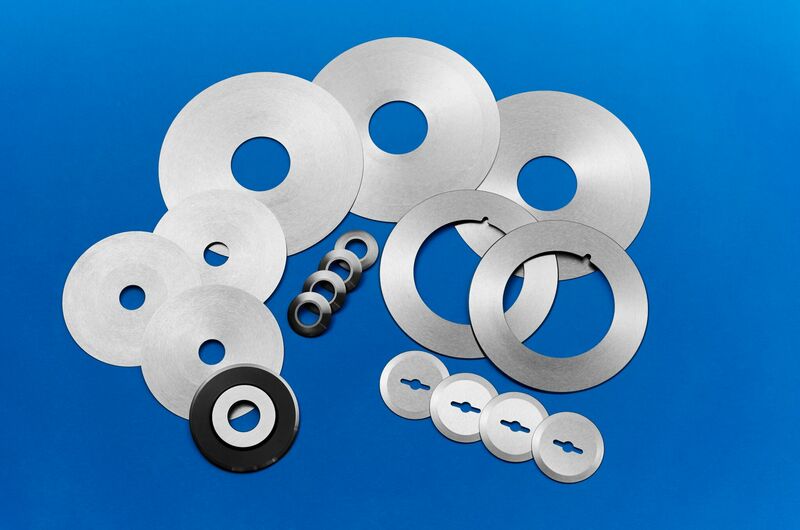 Examples of these circular and paper cutting knives include score slitters, shear slitting knives, crush cutters, razor blades, and core cutters. As a certified vendor to companies like 3M, Paco, Saint Gobain and others, you can rely on our service, quality, and consistency of our knives. American Quicksilver has been supplying high-quality core cutter knives for over 15 years. We supply a wide range of core cutters, ranging from a wide variety of OEM’s, and our knives are capable of cutting cardboard, paper or plastic cores. All of our core cutting knives are made to OEM specifications within our ISO 9002 certified factory, so you can be assured that our core cutters will work as well or better than the knife of the OEM. Our tungsten carbide razor offers a blade that is extremely durable and long lasting, translating to less changeover, a cleaner cut, and overall savings on time and material for our customers. The tungsten carbide razor offers 80x the wear resistance of a traditional carbon steel razor blade, making it perfect for high volume or more abrasive slitting. In addition to being the largest supplier of the score knife holder assembly in North America, AQS is one of the largest suppliers of score knives. These score knives include both continuous edge and perforated score cut slitters. Our pneumatic score knife holders, score knives, and pneumatic holder accessories are all available from stock to our customers. These accessories include hoses, bearings, axles, piston forks, piston cups, stop blocks and more.